Software can be Blinked too. Blink: Malcolm Gladwell’s book about the underestimated importance of intuition and first appearances relative to rational analysis and decision-making. Hugely successful in the blogosphere (relevant there too) and slammed on yesterday’s Slashdot Review for essentially being blatantly obvious. I’ve just begun to read it this week. As a developer with a big usability bias, I treat software quality – particularly maintainability – as an exercise in user-centered design. If I was designing controls for a plane, I’d want them to be intuitive, so the pilot could get a feel for the overall layout in a blink. And just the same for software. I want someone to glance at a design diagram and get a feel for the overall architecture. I want someone to look at a class outline and get a feel for the class’s responsibilities and workings. And I want someone to look at a screen of text and get a feel for what’s going on and how the control is flowing. Yes, software may be complex and the devil is often in the detail. However, ** first impressions count. They shape the way everything is subsequently processed, and can rapidly boost or hamper further learning. ** A mere few seconds should be enough for a meaningful introduction to a module at any level of abstraction, from high-level architecure down to individual code block. Simon Harris (chapeau Dion) discusses CharSequence, the interface String and StringBuffer decided to conform to since J2SE 1.4. CharSequence gives you an okay interface with which to enjoy the goodness of mock onjects and the like. However, it’s nothing to rave about as it lacks most of the methods in String, and as Simon points out, it’s mutable where String is not. A MutableCharSequence sub-interface would be a nice contribution. In any event, CharSequence is unfortunately not a lot of use for one simple reason: it is largely unknown. APIs almost exclusively rely on String rather than CharSequence, so you’d have to continually “(String) seq” downcast or “toString()” convert to interact with any libraries, including the Java API. How do you name Maps? Maps of the key-value pair variety rather than the hip Google-enabled map of the USA. There seems to be no convention. Even for individual programming languages, there seems to be no convention enshrined in the culture, although some languages naturally favour shorter names than others. values as in teams. Succinct, but doesnâ€™t tell you what the keys represent. Itâ€™s usually not apparent from the declaration (e.g. Map) or initialisation (e.g. new HashMap()), so youâ€™d have to go and find code that uses it or read a comment. So it would be a particularly choice if used as a parameter for a published API. mapFromKeysToValues as in mapFromCaptainsToTeams. Says it all, if a bit verbose. mapOfKeysToValues as in mapOfCaptainsToTeams. Ditto. keysToValues as in captainsToTeams. More succinct, but the shorthand form belies that its a noun. So someone reading â€œprint(captainsToTeams)â€ will probably interpret it as â€œprint the map of captains to teams”. Iâ€™d rather the structure be more clear at a glance. valuesByKeys as in teamsByCaptains. If youâ€™re going to include both key and value, this seems to read best. At a high level, you can read it as just â€œteams”, so anything thatâ€™s performed on it is being performed on teams. The â€œâ€¦byCaptainsâ€ prefix reads as it should do: a less significant qualifier that follows the teams around to help someone understand the structure if they need to. In all cases, Iâ€™ve assumed plural. Thereâ€™s certainly an argument to be made for singular form, as in captainToTeam, or any combination. I find plural works best in most contexts. With template-style structures such as Java 1.5 offers, values might be the way to go. With a name like teams, you canâ€™t immediately tell the key type, but you can always locate the type in the declaration. Thatâ€™s different to the pre-1.5 situation, and dynamic languages, where you have to locate actual code. With the key type being part of the map type, simply values is probably the right trade-off. Unless the key type tells you little about the meaning of the key, such as String, in which case Iâ€™m still running with keysToValues. Java can be dynamic too. Somewhat, anyway. Some blogs have recently looked at static versus dynamic mindsets, and it’s all part of a mindset dichotomy throughout the industry. Java attempts to straddle the gap between statically-typed languages like C++ and dynamic languages like Python, Smalltalk, Ruby, etc. In fact, I think that Java’s biggest contribution may be as a bridge to dynamic languages, just like C++’s contribution was a bridge from procedural to OO. While most of Bruce’s argument is based on the new features of J2SE5, it could also be based on older features too. Reflection, dynamic proxies, and byte-code manipulation have paved the way for dynamicish frameworks like JMock and the various AOP offerings. A few days later, Bill Venners wrote something rather complementary to that post. 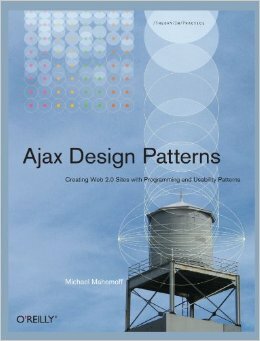 In “Static Versus Dynamic Attitude”, he outlines a design dilemma: essentially, how to represent a bunch of attributes … as a Javabean or as a Map. This is a problem which often arises in multi-tiered architectures, because it is usually necessary to pass a cluster of data between layers. For instance, passing a Value Object from an EJB to a Struts action, or passing a result set from a Data Access Object to an EJB. At one level, this is the Sapir-Whorf Hypothesis applied to Java. The Sapir-Whorf Hypothesis says that people think according to the language(s) they speak. 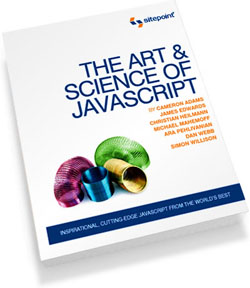 It’s certainly relevant to programming languages — there’s even a Wikipedia entry on that topic. On the one hand we have RSS 2.0 or Atom … On the other hand we have the world of SOAP and WSDL and XML SCHEMA and WS_ROUTING and WS_POLICY and WS_SECURITY and WS_EVENTING and WS_ADDRESSING and WS_RELIABLEMESSAGING and attempts to formalize rich conversation models … On the one hand we have Blogs and Photo Albums and Event Schedules and Favorites and Ratings and News Feeds. On the other we have CRM and ERP and BPO and all sorts of enterprise oriented 3 letter acronyms. So should you use a dynamic solution in an environment where the mindset is static. Of course, if it’s the best solution. It comes down to pragmatism, and that’s not a cop-out, because the only way to make a pragmatic decision is to make the effort to inform oneself of all the options. As Bruce Eckel’s followup post points out, “if I learn a new language that has a different way of thinking, then I can go back to a previous language and apply that way of thinking”.